The Hornisse (Hornet) project was different. First of all, at the time of design, it was radical in design. Second, it was a resounding success, after a few early setbacks. The year was 1941. The Luftwaffe had found, to its great dismay, that its Bf-110 Zerstorers couldn't stand up in the Battle of Britain, which was then raging. The Germans needed a new Zerstorer. And Messerschmitt was ready for the job. The Me210 had originally been planned in 1937, but it was little more than a flop, making barely any contribution to the German air effort. After solving the problems of extreme in-air instability and landing gear problems, an acceptable machine seemed ready. Only 352 Me210s were made, out of an original Luftwaffe order for 1000 "off the drawing board". Apparently, the Messerschmitt firm was in such high esteem in the Luftwaffe as to be believed incapable of mistakes. The blow to the firm was reflected in an official demand that Willi Messerschmitt resign from the board! When the improved Me310 (with a DB 603 engine) high-altitude craft appeared, it proved that the project was worth development. It was unfortunately abandoned in a less radical design change designated 410. The 410 was markedly better than the Bf-110 in almost every department. It was made primarily as a photo-reconnaisance and destroyer aircraft. The Destroyers were armed with four forward-firing cannon, (MG 151) or two of the same with a 50mm BK 5 gun with 21 rounds. The Me 410A-2/U-2 was a definitive night-fighter, with two MG 151, two MK 108 30mm cannon, and SN-2 Lichtenstein radar. Many of the 1,121 Me410s built carried Rustsatz external packs carrying an additional two MG 151, MK 108, or MK 103. Occasionaly, experienced pilots fitted as many as eight MH 151s, all firing ahead! 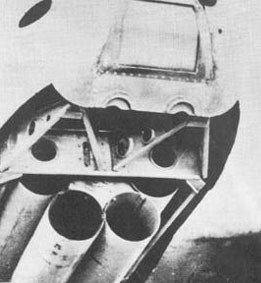 The 210mm Rocket tube was commonly fitted by 1944. Some aircraft had a rotating pack of six tubes in the bomb bay. 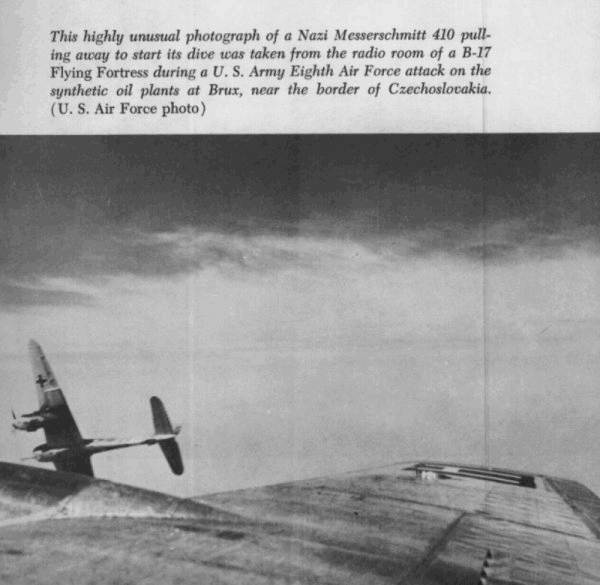 The Me410 was truly a success, unlike the 210. Unfortunately, not enough were produced that the old Bf-110 could have flown off into retirement. It, like so many others, had to soldier on to the bitter end. Note to CFS aircraft designers: The 410's a real neat candidate for you folks out there! Engines: (Me210, usual production versions) two 1,395hp Daimler-Benz DB 601F inverted vee-12 liquid-cooled; (Me410A series; usual for production versions) two 1,750hp DB 603A of same layout; (Me410B series) two 1,900hp DB 603G. © simviation.com 1999. All rights reserved.